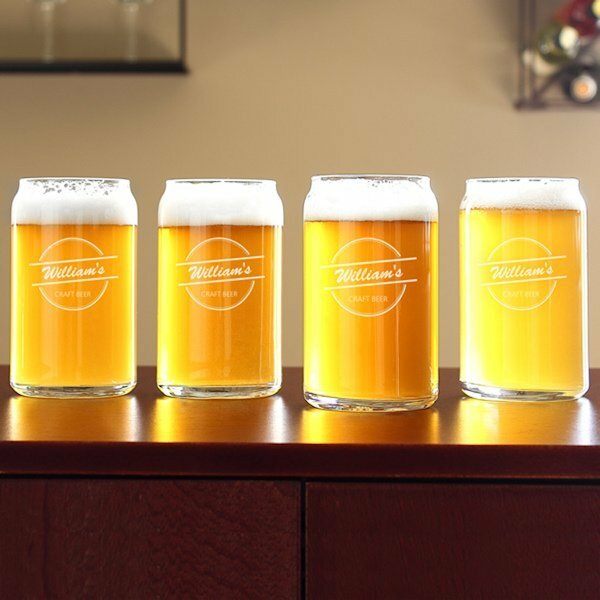 Showcase your favorite, home-brewed ale in glasses that bear your name. 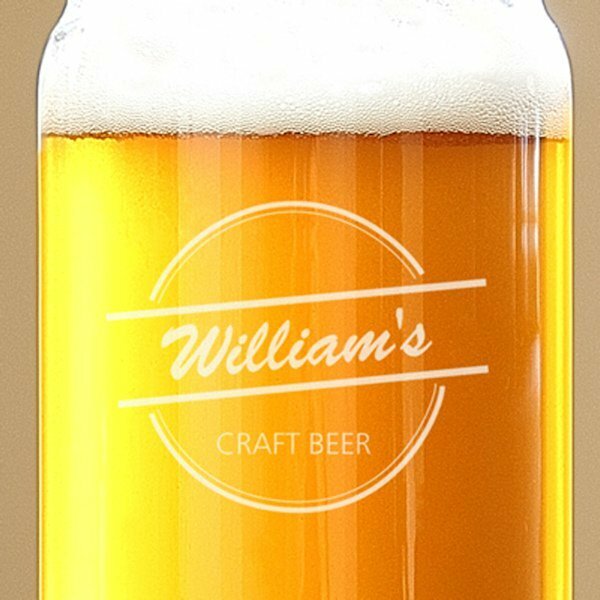 Sold in a set of 4, our soda can shaped glasses feature your name (first or last) engraved on the front with the words "Craft Beer" under your personalized name. The set is a perfect gift for the newlyweds, new homeowners or beer lovers! Measures 5.25 in. H x 3 in. W. Holds up to 16 oz. Dishwasher safe. Script name (maximum of 12 characters) is engraved in either possessive, however you must add the apostrophe "s" (as shown in the images; eg., William's) or you may simply add a name without the apostrophe "s" (eg., William), if you'd like. Note - This item includes a personalization, color, size or design option: Name (e.g., Possessive First or Last Name) (max of 12 characters) (Free of charge). You may specify this information during our checkout process.